Are Facebook really making the world more open and connected by shutting down free software initiatives that attempt to make the Facebook user experience more pleasant and less annyoing? On 2nd Nov 2014 Facebook disabled the Fluff Busting (FB) Purity fan page, and as per the last 2 times they did it, they gave no warning, notification or explanation. Do Facebook really hate their users so much, that they would do this? At the time they disabled it the page had over 178,561 fans, the add-on receives consistently high reviews on the official browser add-on sites, and has even been reviewed and recommended in The Washington Post and CNET amongst other places. Many FBP users say they only continue using the Facebook site because of FB Purity. By disabling the FBP fan page they have attempted to cut off communication with the fans of FBP. I have emailed Facebook asking them to re-enable the page and give an explanation as to why they have taken it down. I have created a new temporary FB Purity Fan Page to for letting the FBP users know the FBP news and to get feedback from the fans while I work to to get Facebook to restore the old page. Please “Like” the new page and post your support for getting the old page back. Also if you know anyone that works at Facebook, ask them to try and find out what has happened to the FBP Fan Page. If you have a blog or are active on any forums, or work for any news sites or can submit the story to any news sites, please do, the more people that know about this the better. Facebook should not be allowed to get away with this Social Media atrocity. 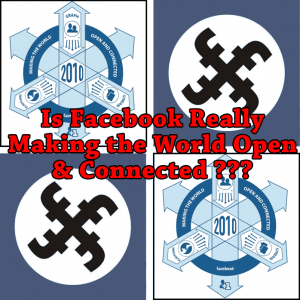 Is Facebook really making the world more “Open and Connected”? Their fascistic policies of shutting down Fan Pages it doesn’t like, such as the FB Purity Page, with no notification, warning, or explanation seems to suggest otherwise. Spread the word, plus if you have any ideas on how to get the Fan Page back, please share them. Please Donate to show your appreciation for the endless work that goes into keeping FBP going despite all the obstacles Facebook throw in the way. This entry was posted in Facebook, FB Purity and tagged clean up facebook, customise facebook, Customize Facebook, disable people you may know, facebook ad blocker, Facebook Customization, FB Purity, FB Purity Update, fluff busting purity, hide facebook ads, hide people you may know, hide sponsored posts, hide sponsored stories, hide trending, hide trending topics, newsfeed filtering, protest against facebook, protest against facebook fascism, remove people you may know. Bookmark the permalink. 4 Responses to Facebook have disabled the Fluff Busting (FB) Purity fan page. Please help to get it restored! i have been trying to delete f.b. purity off of my computer. how do i do that?